Hubert Culik and David Kubala, CEOs of Helios Group. 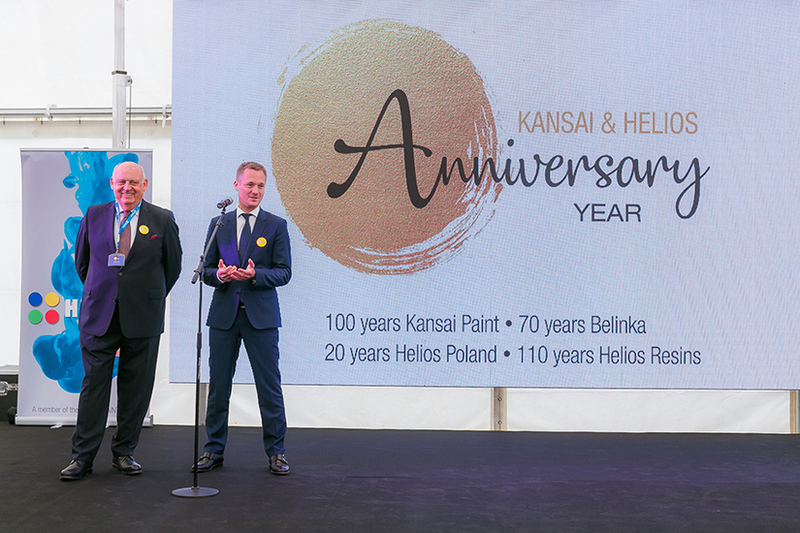 On May 17th 2018 Helios Group and it’s owner Kansai Paint were celebrating the anniversaries – 100 years of Kansai Paint, 110 years of Helios Resins and 70 years of Belinka. Such important milestones are the opportunity to remember the past, celebrate the achievements and to look into the future. For the future of the company, understanding trends, development of state of the art coatings and new investments are significant. 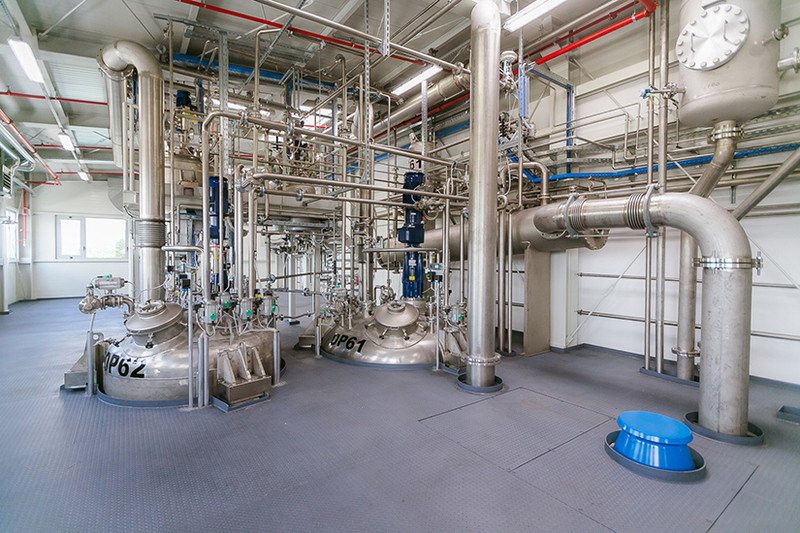 One of the Helios most important recent investments is new resins reactor for the most sophisticated waterborne resins that will replace the old reactor for solvent-based resins. The investment amounted to over €3 million. With the modern facility that allows bigger capacity, the total annual capacity of resins in Helios Group will increase from 60.000 tons to 64.000 tons. 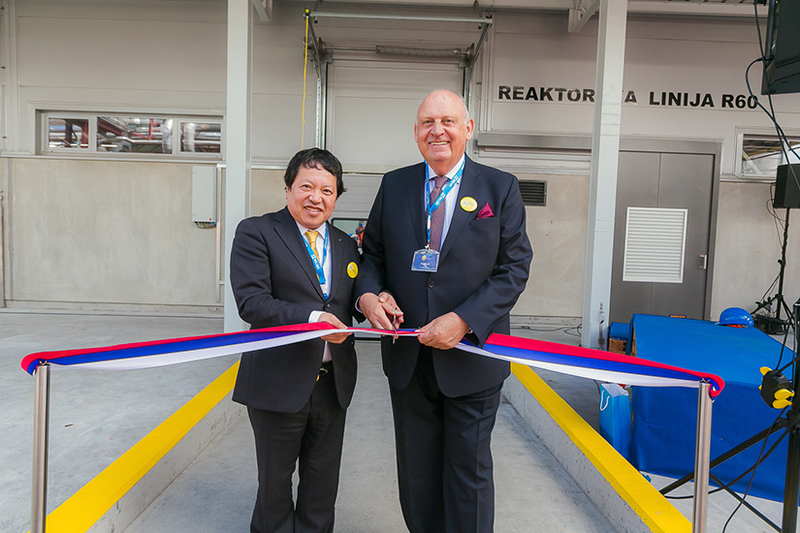 Yu Akaki, representative of Kansai Paint and Hubert Culik, CEO of Helios Group at the ribbon cutting ceremony. Investment in a resin reactor was worth more than €3 million. It will increase the production capacity of waterborne resins for 4.000 tons per year. In May, the construction works on the new reactor were finished and it is expected that the production of waterborne resins will start in July. Water-based resins are the basic component of water-based coatings, so with the additional reactor Helios will also increase the volume of environmentally friendly coatings. The history of Helios resins began 110 years ago at the location of Color factory in Medvode. At that time seed oil was pressed and then further processed, a procedure that was a precursor to today’s production of alkyd resins. With the foundation of the Ljudevit Marx Company in 1924, the production of resins also started in Količevo. 20% of Helios resins are further used in our own production, as coatings consist of resins in 30 to 40%. The rest of the resins are predominantly sold to Western Europe. Besides being the important raw material for coatings, resins are also used for composite products in many other industries, such as nautical, construction, automotive industry and elsewhere. All reactor lines in Helios are ran by computers, which allows us to fully control the process. With this method, we have enabled repeatability, product quality, maximum optimization and maximum security of the processes. As in other segments, high-level environmental standards are also implemented in resins plant. All production units are connected with the modern central air cleaning station. With the help of state-of-the-art technical solutions, we completely shut down the production process so that there are no releases into the environment. Part of the new resins reactor. With Kansai’s acquisition of Helios on April 1st 2017, the two companies with long history joint forces on European market. For Helios, having a strategic owner such as Kansai Pant means opportunities in many different perspectives. Find out more about Kansai Paint 100th anniversary. Peter Venturini, Member of the Board of Directors, Helios Group at the reactor opening. 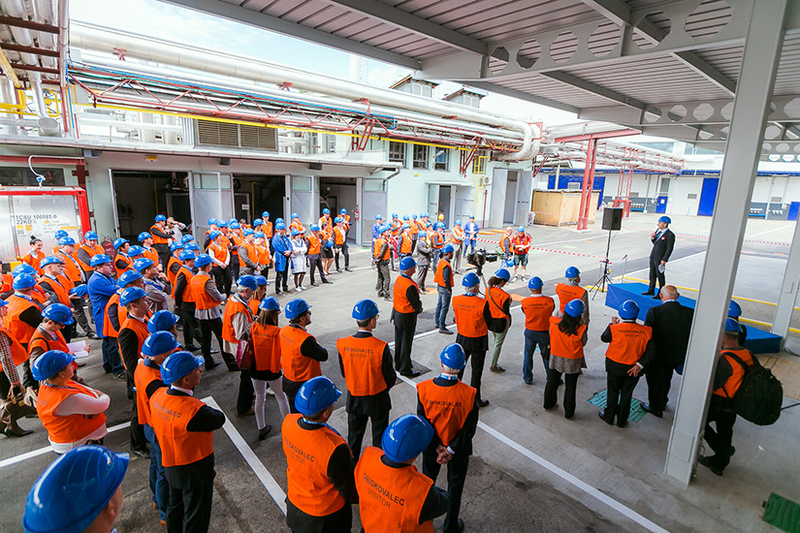 Guests in front of new resins reactor.